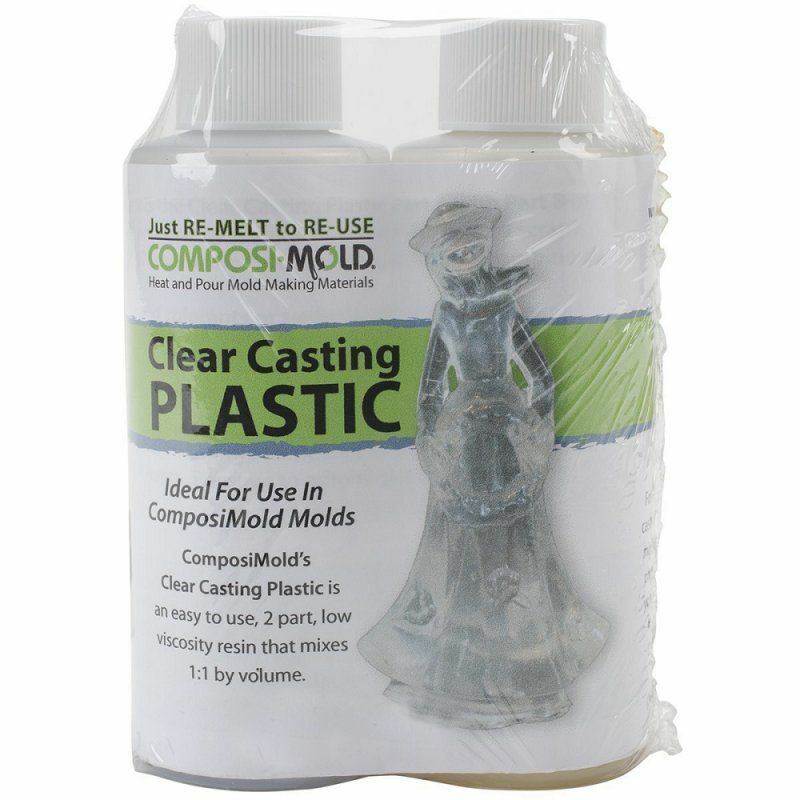 Clear Casting Plastic is an easy to use casting material to create clear epoxy castings. It is simple to use with a 1:1 mix ratio (by weight or volume) and works extremely well with ComposiMold. For crystal clear, bubble-free, castings slowly and thoroughly mix Part A with Part B in equal proportions. Slowly pour into your ComposiMold mould that has been lightly coated in Mould Release. Let the Clear Casting Plastic cure in the ComposiMold for at least 24 hours. Remove to admire your crystal clear casting!